Omar Cervantes reached out to me in response to the article I wrote Let’s Be Reasonable: Stop Saying Eliminate Pay to Play telling me about his club in Northern California that is provided a cost-free experience to both their recreational and travel level players. 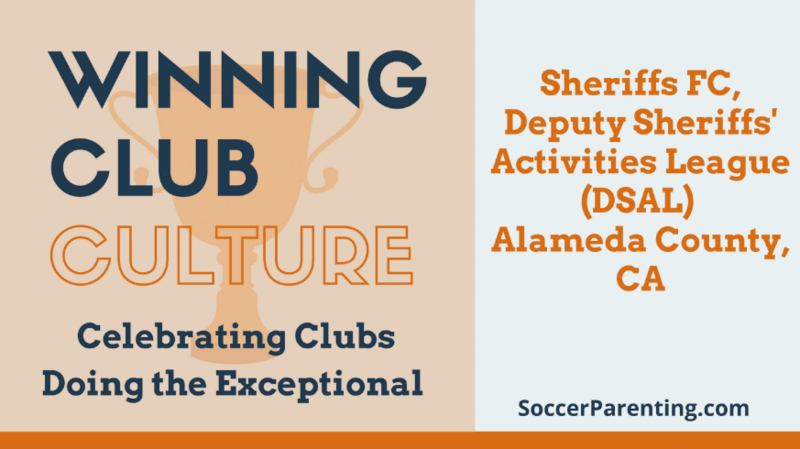 I immediately asked to interview him for this Winning Club Culture series as I wanted to learn more and see if this is a model that can be replicated. While I thought this would be a 8-12 minute interview regarding the Sheriffs FC (their travel teams) and Deputy Sheriffs’ Activities League (DSAL) (their recreational league), it ended up being so much more! The conversation simply couldn’t be edited as we jumped from discussing the important work Nick Lusson (President), Omar Cervantes (Technical Director) and Ricky Salazar, (Staff Coach) are doing in Alameda County to a much broader, 25 minute discussion about Pay-to-Play and making soccer accessible. What became clear as we were talking: the term Pay-to-Play has multiple meanings. What Pay-to-Play means to me in suburban Virginia is much different than what Pay-to-Play means in an underserved area in the United States. Omar and I discuss this dubious term, accessibility to sport, and the nature of the coach-parent relationships at Sheriffs FC with the removal of fees. Finally, we touch on the differences on the sidelines when you have a population of parents who feel a strong cultural connection to the game. Omar identifies three essential components of the COST FREE SOCCER model that must be in place in order for this system to be replicated. Law Enforcement Support. DSAL was founded by ACSO Captain Marty Neideffer and much of the funding for the DSAL program comes from the financial resources of local Law Enforcement that believes children being involved in sports will lower teen pregnancy, crime, drug use and truancy. Interested in learning more about this cost-free model? Here is a link to the DSAL website. Want to get in touch with Omar?…Email me and I’ll put you in touch: EMAIL ME HERE.